This is the best way to introduce greens to the kids. 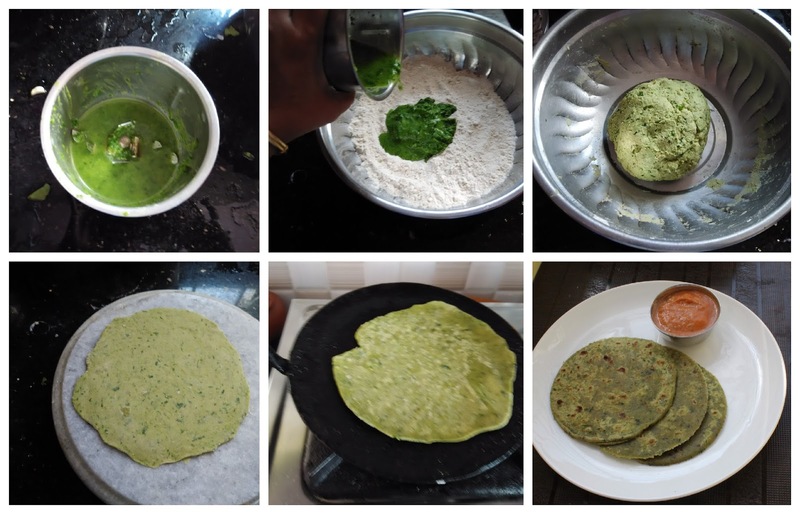 This Palak Paratha is colorful and healthy too. 1. Wash and drain the water from the palak and coriander leaves. Then chop them into fine pieces. 3. Remove the skin of the garlic and chop them into small pieces. 4. Heat the oil in a pan, add ginger, garlic and green chilies (split it into two halves). Fry till they become translucent. 5. Add chopped palak and fry till the quantity of the palak becomes half. 6. 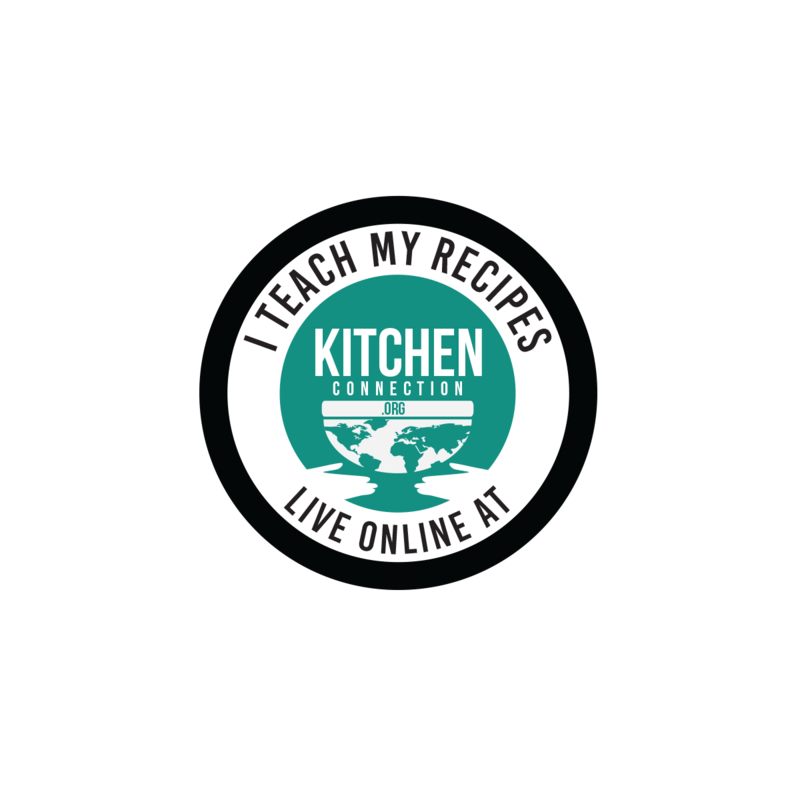 Add chopped coriander leaves and turmeric powder. Sauté for few seconds. 7. Allow this mixture into cool down completely. 8. 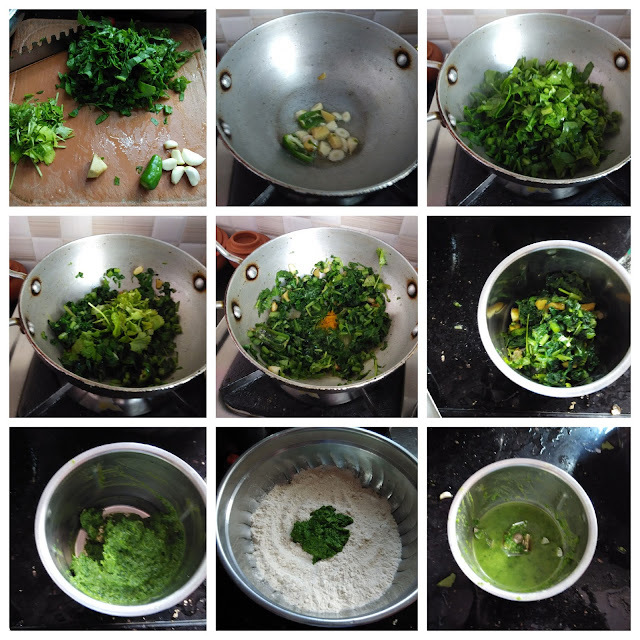 Grind the palak mixture with little water into a fine paste using the mixi jar. 9. In a wide bowl, add wheat flour and salt. Mix them well. 11. Now divide the dough into a lemon size balls. 12. Now dust the dough ball and roll it into a small circle. 13. Heat the tawa and transfer the palak paratha, sprinkle the oil and cook both sides till the black spots starts. 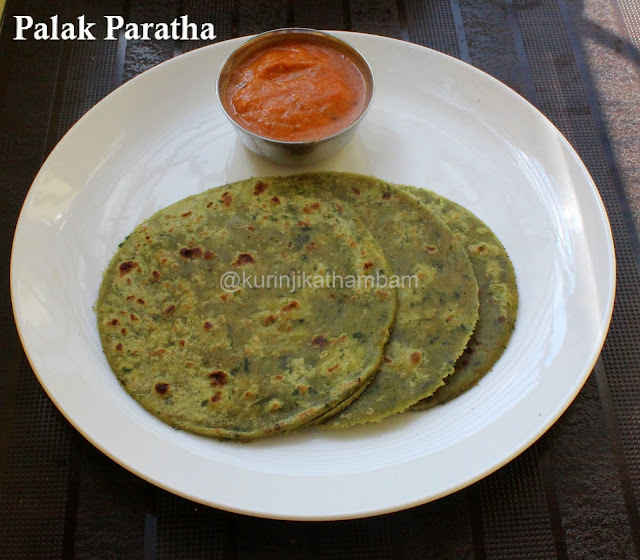 Really healthy, colorful and tasty Palak Paratha ready to serve. Serve it with Spicy Chutney. 1. Adjust the chilli level according to your taste. 2. Adjust the palak level as per your wish.